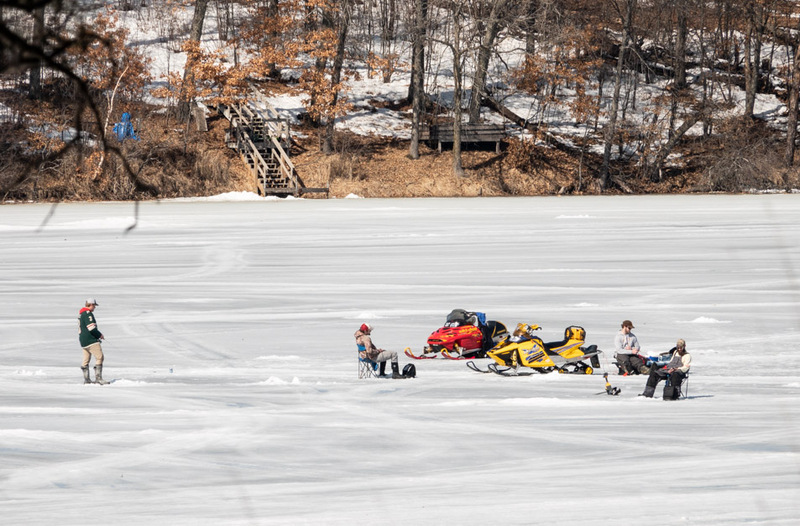 Saturday, March 23, 2019: The weather may be warming, but there is still ice on lakes for fishermen. This scene was on Gilbert Lake, right near Gilbert Lodge. 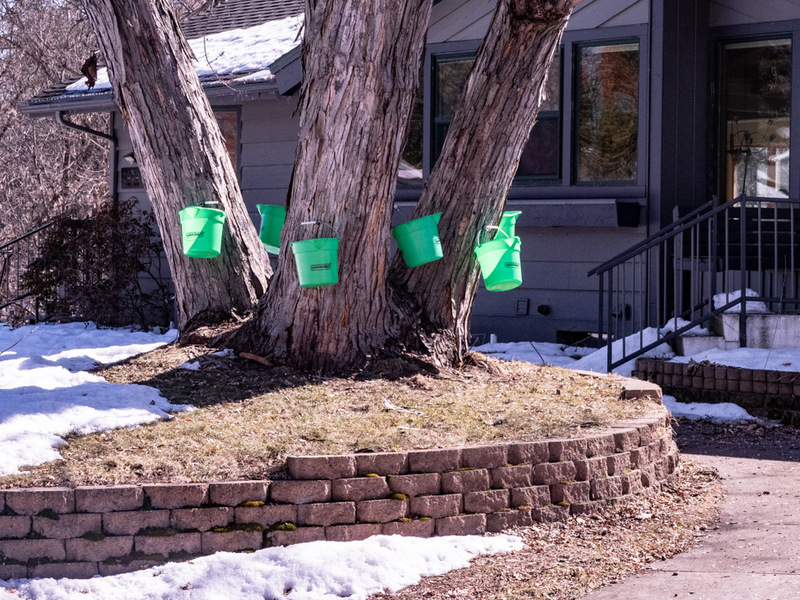 Another sign of spring. A kite stuck in a tree. Paula remembers flying a kite when she was just a kid. 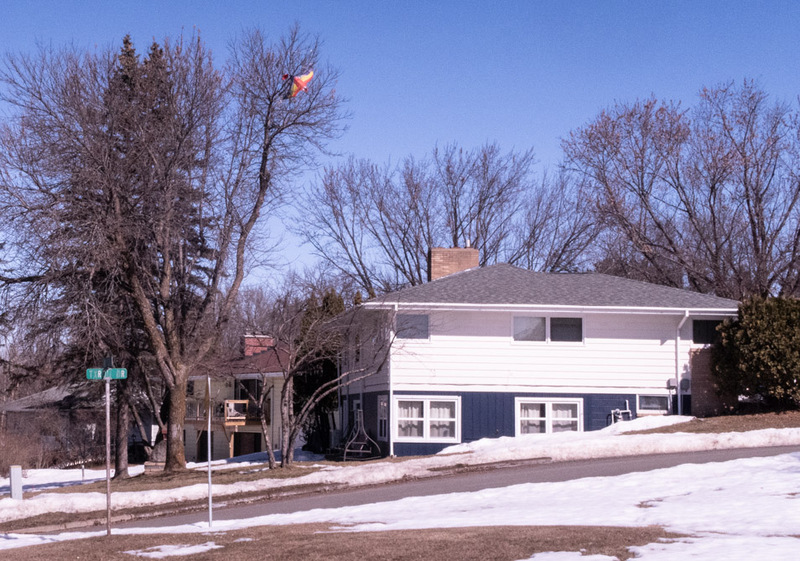 The kite became tangled in a power line and knocked out power to northeast Brainerd. No one was hurt, but she made herself scarce for a while! 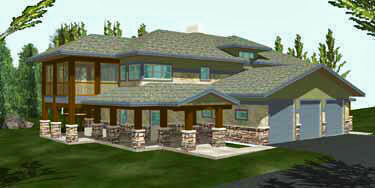 This was just the right time of year go collect sap for making maple syrup, right from the front of this home in town. Yes, another sign of spring. 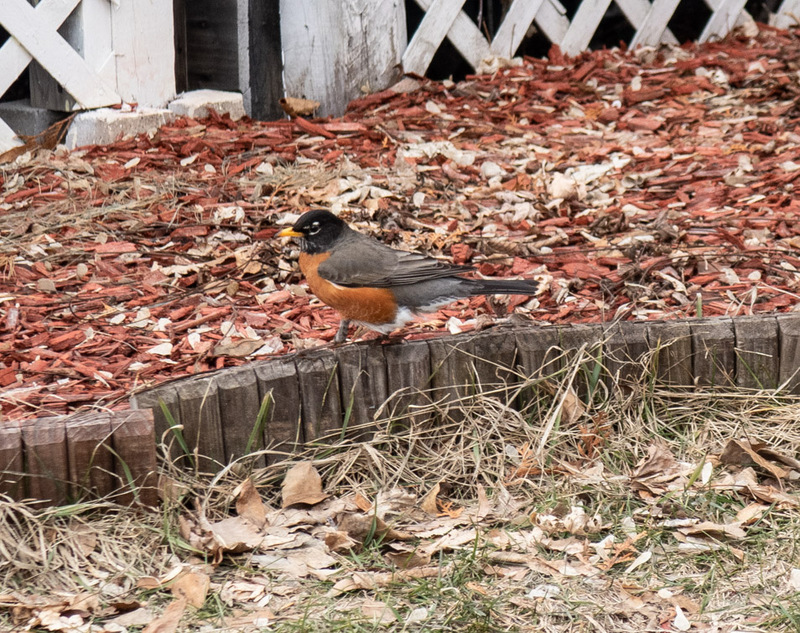 An American Robin was spotted in north Brainerd. 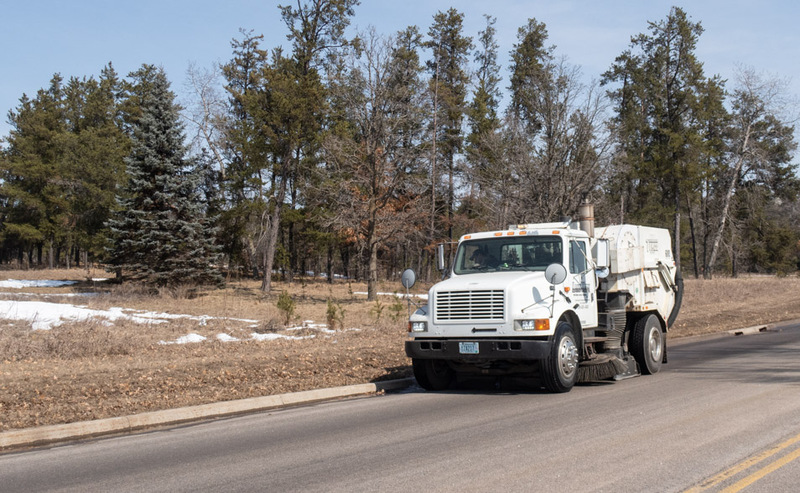 You know it's spring when street cleaning trucks are out. 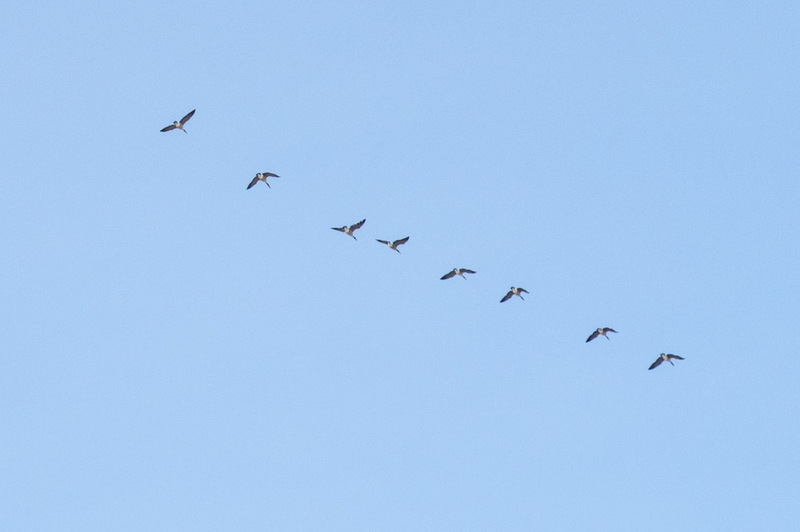 Then Canadian Geese showed up, flying south to north for the summer. They are frequent visitors to Gilbert Lake.